February 2nd 2013. In the six weeks since the Sandy Hook tragedy, 1,478 Americans have died of gun violence. October 2017 update: 1,516 mass shootings in the last 1,735 days. was not a monster, but merely a bureaucrat who willingly and effectively did his job and, at the end of the day like anyone else, went home to his wife and children. Hollywood, as the primary mode of storytelling in our culture, has always invited us to follow this model, to objectify the villains of the moment and to normalize our unthinking acceptance of violence as the normal mode of resolving disputes. And movie audiences have usually responded with their approval. For a hundred years we have eagerly consumed film images of American heroism and the triumph of good, innocent America over the dark, evil “Other” – frequently with violence of Biblical proportions. This is how we come to accept its normalization. This is why audiences cheer at the end of Zero Dark Thirty. A brief digression: before viewing Zero Dark Thirty (the subject of this blog) in liberal Berkeley the other night, I was subjected to six previews of upcoming films, every one of them an action thriller; a full twenty minutes of explosions, gun fire and car crashes. After all, we think as we leave the theater: the bastards probably deserved it. But here is a problem. Since they are so typically one-dimensional, so are most of our heroes. If our heroes are good, then the Other is bad, and the hero needs no justification for his actions, least of all from wimpy, liberal politicians. And here is a big secret: the American hero has as much contempt for democracy as does his opponent. Can you imagine Rambo – or Barack Obama – waiting for congressional approval? This is nothing new in America. Nick Turse’s book Kill Anything That Moves: The Real American War in Vietnam, gives ample evidence that the My Lai massacre of 1968 in which Americans murdered nearly 500 unarmed civilians was no aberration. Indeed, Americans perpetrated literally dozens of such actions in that war and in the wars that followed. The American public, however, refused to face the moral implications. Polls found that 80 percent of us opposed Lieutenant William Calley’s guilty verdict. Were the American “boys” who calmly ate their lunches sitting next to dead Vietnamese children monsters? Was Dan Mitrione, the CIA torture chief (see the 1972 film State of Siege) in South America in the 1960s – and a father of nine children – a monster? But again: Were these people – deeply religious, introspective, bookish family patriarchs – monsters? Or, as in the other examples noted above, hadn’t history thrust normal, decent people into utterly indecent situations, thus bringing out the worst in them? 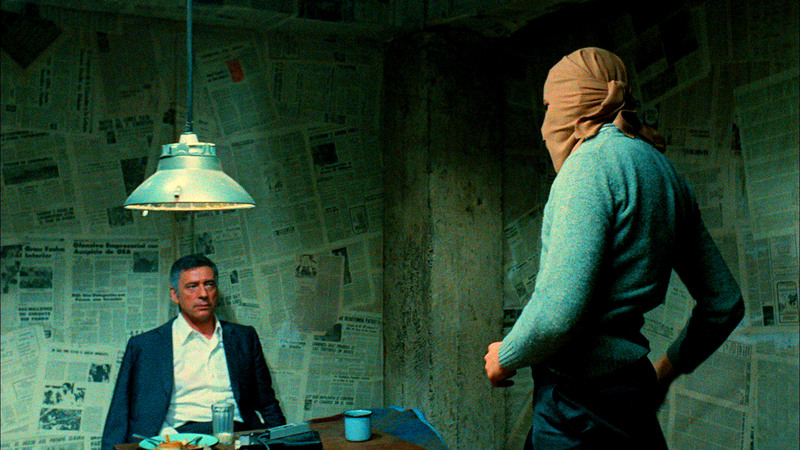 Framing the question in this manner, we are forced to wonder whether most criminals, even murderers, are not Hannibal Lectors (as much as we may want them to be). Both depth psychology and indigenous wisdom teach us that we are each a repository of varying proportions of both good and evil, or if you prefer, creative and destructive potentials. 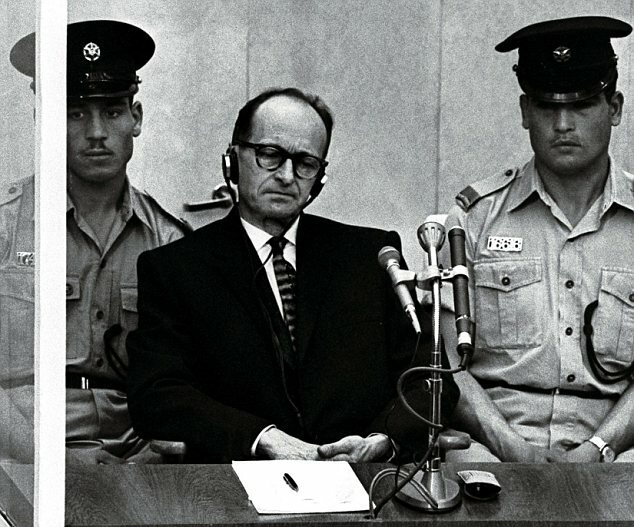 Perhaps we want to see the “others” of the world in simplistic, black/white terms because if they are purely evil, then we might be purely good and innocent. Perhaps we as individuals and as a nation might not then be complicit in the evil that they perpetrate. But of course it is not that simple. We can say this, however: we now and for a very long time have been living in a “demythologized” world (Joseph Campbell’s phrase) that has lost connection with the myths and rituals that once held us together and which at times brought out the best in us. It is a world that rarely welcomes or can even identify the positive aspects of the masculine, a world of uninitiated men who raise, mentor, indoctrinate and send off other uninitiated men to do their dirty work. And yet, few of these men, at least at the beginning, are monsters. Most of them, I believe, are children emotionally, traumatized by their unloved lives, who would like nothing better than to have their innate nobility recognized by true elders. By not having the experience of truly being seen and blessed at the appropriate times in childhood, they – and we – are wounded, some much more than others. But when that doesn’t happen, and those elders send them into dysfunctional, traumatic situations, many of them find it only too easy to displace their disappointment, shame and rage onto convenient scapegoats. History, then, finds it too easy to bring out the worst in them. Consider the Latin word vocare: “to call or name.” From it come words like “vocal” and “vocation.” For our purposes, consider that in ritual and initiatory circumstances, we invoke the deities from without, or evoke desirable features from within. However, if neither culture nor history allows us those options, we are likely to provoke such things in other people. This is the basis of the psychological process of projection, and it too often leads us away from our selves. Seeing our better selves in others, we may succumb to envy and shame. We may want to sabotage it as much as emulate it. And seeing our lesser selves in others (because it is too painful to admit that it exists within), we may easily allow our uninitiated leaders to convince us that it should be destroyed. This is how good, normal, good-intentioned American “boys” become mass killers. Add the factors of distance and detachment to the equation, and such boys happily manipulate joysticks in windowless Arizona buildings that direct drones to vaporize wedding parties 8,000 miles away. “Normalization” and denial enable us to innocently inhabit a world in which American drone strikes killed 176 Pakistani children in 2012 alone. The banality of madness: In February of 2013 outgoing Defense Secretary Panetta announced a new medal for these desk-bound warriors. 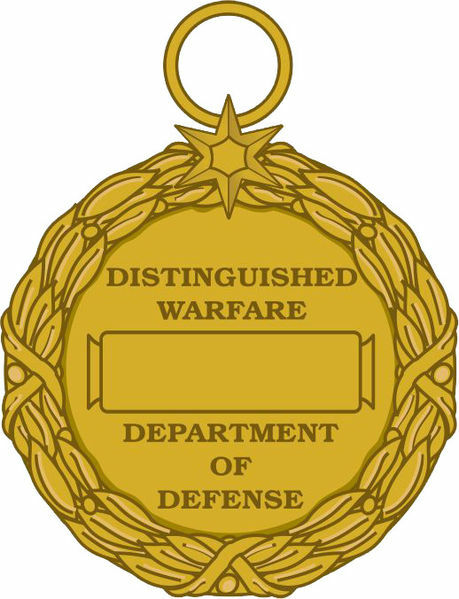 The Distinguished Warfare Medal will recognize drone “pilots” for their “extraordinary achievements that directly impact on combat operations, but do not involve acts of valor or physical risks that combat entails.” The drone medal will rank above the Bronze Medal and Purple Heart, meaning computer screen heroes will receive awards more prestigious than troops who get shot in battle. And who are we to quickly respond that, placed into the same, impossible situations, we would act differently? There is a great mystery about all this. Is it not a mere accident of history – reincarnation, if you prefer – that drops some of us as infants into relatively affluent and loving families that nurture our better selves? Even then, how many of us are innocently complicit in these crimes by virtue of our silence? How many of us react in shock when our own innocent children are murdered, even as the American empire destroys hundreds of lives every day? 1 – The way to wisdom runs first through acknowledging the truth, in this case, how profoundly diminished our imagination is in this demythologized world, and how much we have colluded with empire. 2 – The way toward solutions is the ritual imagination, both in reframing our old myths and in learning from indigenous thinking. Consider the island of Bali, where the people know very well the consequences of allowing their lesser selves to run “amok” (a Balinese word). There, all ritual, conducted daily in a thousand places, has the intention of balancing the good and evil that exists in everyone, rather than destroying evil. Hence, the ubiquitous black-and-white checkered cloths that the Balinese drape over the statues of their gods. The Aramaic word spoken by Jesus and translated into Greek as diabolos and into English as ‘evil’ actually means ‘unripe.’ What if we used ‘unripe’ instead of ‘evil?’ Unripe persons are simply immature. Aren’t communities responsible for helping them ‘ripen,’ rather than punishing or eradicating them? This is critical: if we can’t imagine a sym-bolic (“throwing together”) world, then we are left with a dia-bolic world…Even ‘diabolic’ (related to dance), originally implied communication between adversaries. Unimaginative language, wrote James Hillman, ‘displaces the metaphorical drive from its appropriate display in poetry and rhetoric…into direct action. The body becomes the place for the soul’s metaphors.’ In other words, if we can’t make images in art, music or beautiful speech we get sick. 4 – The way to a sustainable future lies in the creation of ritual containers – and eventually social institutions – that might actually evoke the best in people. All roads lead back to the revival of initiation. Imagine that. This entry was posted in Uncategorized and tagged Barry's Blog # 48: The Banality of Evil. Bookmark the permalink.